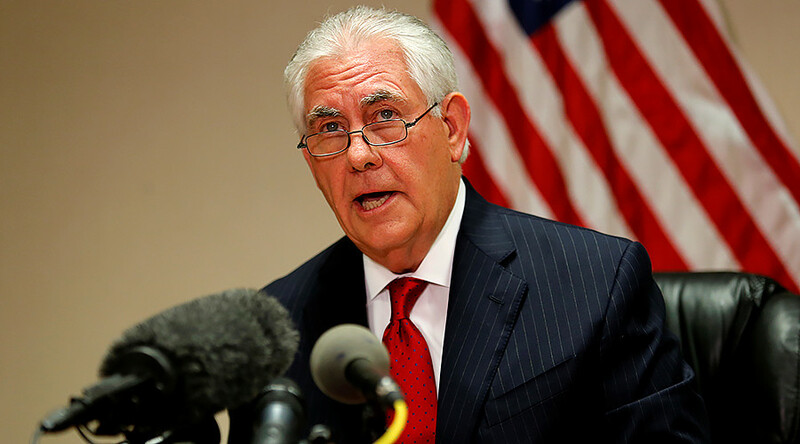 US Secretary of State Rex Tillerson has said the Syrian crisis can only be solved through a political process, claiming it's not regime change but the defeat of the Islamic State (IS, formerly ISIS/ISIL) terrorist group that Washington is seeking in Syria. "Our strategy in Syria, our priority is first to defeat ISIS," the US official said in an interview with ABC's "This Week" host, George Stephanopoulos, which was aired Sunday. Saying that once the battle with the terrorist group is concluded, which according to the US official is "going quite well," Washington plans to turn its attention "to achieving ceasefire agreements between the regime and opposition forces." Bringing the parties to the table for political discussions "clearly requires the participation of the regime and the support of their allies," Tillerson said in another Sunday interview to the American media, speaking to John Dickerson on CBS's "Face the Nation." Once a ceasefire becomes a reality in Syria, "we will have the conditions to begin a useful political process," he said. "It is through that political process that we believe the Syrian people will ultimately be able to decide the fate of Bashar Assad," he told ABC. Tillerson reiterated the same on CBS, saying that Washington hoped to work with its coalition members and with the UN, "in particular through the Geneva process," to be able to "navigate a political outcome in which the Syrian people will in fact determine Bashar Assad's fate and his legitimacy." The US Secretary of State underlined the Russian role in the process, saying that the US hoped it could work together with Russia "and use their influence," and that Moscow "will choose to play a constructive role in supporting ceasefire through their own Astana talks, but also through Geneva." "I'm hopeful we can have Russia be supportive of a process that will lead to a stable Syria. Clearly they are Bashar Assad's current ally, they should have the greatest influence on Bashar Assad," he told Stephanopoulos, but he warned that Russia should be "thinking carefully about its continued alliance with Bashar Assad." 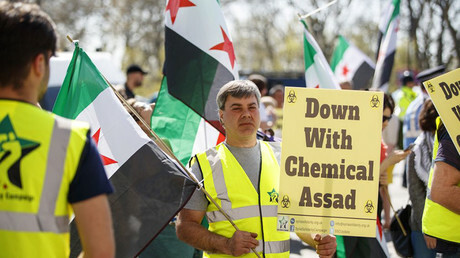 "Every time one of these horrific attacks occurs, it draws Russia closer into some level of responsibility," he said in an apparent reference to a recent alleged chemical attack in Syria's Idlib province. Washington blamed the Syrian government for the incident, while Moscow has said there has been no evidence presented to support such claims. Speaking of the US missile strike on a Syrian airbase, ordered by President Donald Trump "in response" to the alleged use of chemical weapons, Tillerson told CBS that "clearly the message is that the violation of international norms, the continuing ignoring of UN resolutions and the continuing violation of agreements... will no longer be tolerated." 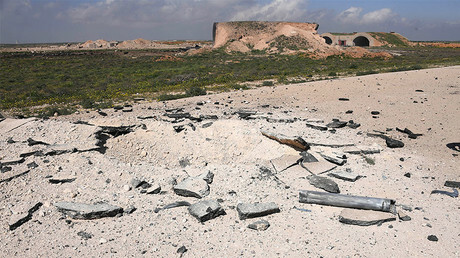 The airstrike is only related to the alleged chemical attack, the US official claimed, adding that Washington has learned its lesson of "what it looks like when you undertake a violent regime change," referring to Libya. "Obviously the United States' own founding principle is self-determination, and what the US and our allies want to do is to enable the Syrian people to make that determination... We've seen what violent regime change looks like in Libya and the kind of chaos that can be unleashed and indeed the kind of misery that it enacts on its own people," he said on CBS. "I think we have to learn the lessons of the past," he emphasized on ABC, adding, "Any time you go on and have a violent change at the top, it is very difficult to create the conditions for stability [in the] longer term." The "message" that any nation can take from the missile strike is that "if you violate international norms, if you violate international agreements, if you fail to live up to commitments, if you become a threat to others, at some point a response is likely to be undertaken," Tillerson said. He also disproved reports that Washington has also sent a warning to North Korea with its unilateral attack in Syria, saying that "in terms of North Korea, we've been very clear that our objective is a denuclearized Korean peninsula. "We have no objective to change the regime in North Korea," he claimed, speaking to the ABC host. In his CBS interview, the US Secretary of State also suggested that "the military progress both in Syria and in Iraq has been remarkable since president Trump's inauguration." Having called the progress in Mosul "tremendous," Tillerson said together with its allies the US military "continued to liberate areas" and "are moving to a position to liberate Raqqa and contain ISIS."